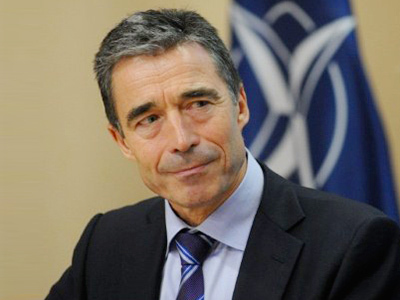 The Secretary General of NATO has said that he was very receptive towards Russia’s offer to build a joint center that would monitor ballistic missile launches and detect potential threats. 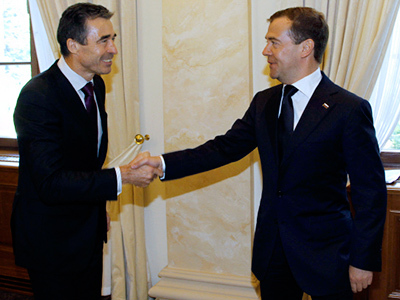 ­His comments came as Secretary General Anders Fogh Rasmussen was speaking at the St. Petersburg Navy Academy on Tuesday, a day after he held talks with Russian President Dmitry Medvedev and other officials in Sochi. After the meeting, President Medvedev said it had been effective as both sides had managed to make progress on several pressing issues. 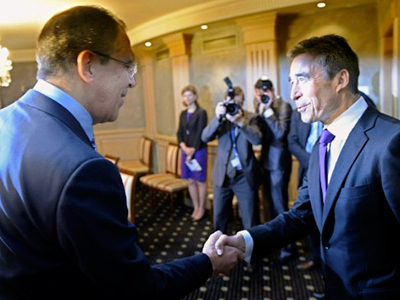 In a speech given on Tuesday, the NATO chief repeated his claim that NATO was interested in cooperation with Russia, and said that some of Russia’s suggestions on the topics at hand were very appealing. “Russia has already made an interesting proposal. There is an opportunity to create a common center that will be used for monitoring the ballistic missile threat, for exchanging information and calculations. I think that this is a promising offer,” Rasmussen said. The official once again stated that there were about 30 nations in the world that possessed missile technologies, and some of these nations already had the capability to target NATO members. He said that NATO is obliged to defend its territories just as Russia had already been faced with a similar a similar risk. 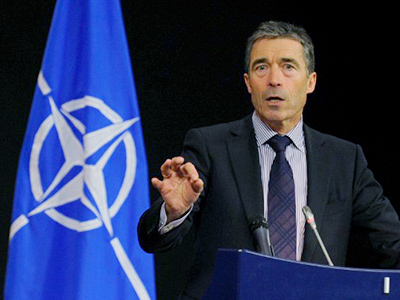 Anders Fogh Rasmussen added that he did not consider Russia a threat to NATO and assured the audience that NATO was not a threat to Russia either. He stressed that NATO’s missile defense system is a defensive apparatus and is not intended to carry out attacks on Russia. The NATO chief also told his Russian audience about a particular example of successful cooperation between the two sides. He said that next year NATO and Russia will test a system developed for protecting airports and railway stations from terrorist attacks, like the bomb blast that struck Moscow’s Domodedovo airport this past January. The system will be tested in Paris and St. Petersburg, the official said. He also reminded the audience that NATO and Russia are currently conducting joint missions to prevent piracy in the Indian Ocean. Also, the Russian and NATO air forces held a joint anti-terrorist exercise for the first time in history this past June. None of our countries can tackle the modern challenges, such as terrorism and piracy by itself, Rasmussen said. The only path to victory is through large-scale international cooperation, he added.